Autumn is a wonderful season for road cycling, for going out and enjoying the unique scenery that nature and its colors create. But autumn also means shorter days, frequent showers and more severe temperatures. Find out in 10 useful tips how to make the most of this season. Come the autumn, the first big change we experience is in the duration of the days: daylight hours reduce and our bike rides need to fit within the hours of light we’ve got available. Checking sunrise and sunset times before going ahead with the planning of your ride will allow you to make use of all available daylight, at no risk of having to ride back home in the dark. Autumn is certainly one of the most spectacular seasons for our bike rides, but we must be mindful of road conditions: the orange foliage of the trees looks very attractive in the pictures, but when the leaves fall onto the asphalt, they make for a dangerous slippery cover. Extra care to where you put your wheels is important to avoid washing out and falling. If you intend to pedal in the mountains, you should first check weather conditions, webcams and temperatures on the top; you could also prepare a plan B and an alternative route in case reaching the top is not possible. If you are able to plan your ride so that you will reach the highest altitudes during the warmest hours of the day, you won’t get too cold during the descents. A couple of lights fitted to the frame and some high-visibility clothing or items with reflective inserts can make you easily seen and also provide greater safety in the twilight. 5 – Layer your clothing and do bring a windproof jacket with you. 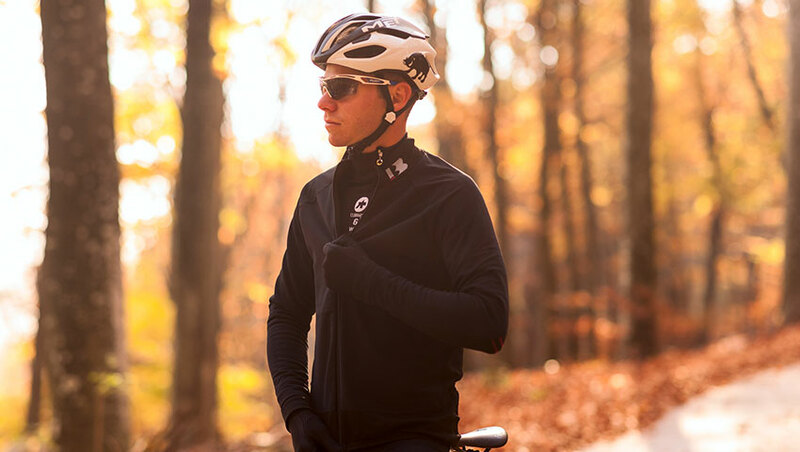 During the autumn the difference between day and night temperatures is significant; make sure you have the right clothing during the early hours of the day and that you will be able to take layers off as the day gets warmer. Arm and leg warmers, light gloves and a windproof jacket make for an excellent starting point. During this season the weather is less forgiving and the use of high quality technical gear becomes even more important. Consider changing the tyres on your beloved bike with some all-round rubber; the improved grip on slippery surfaces and a more puncture-resistant nature will secure your road-bike rides against unexpected troubles. As for every other season, during the autumn it is a good habit o drink and keep hydrated while riding. It may happen that the lower temperatures you perceive make you less mindful, your thirst response is numbed; nevertheless, your body still needs to replenish the fluids and salts that you loose while exercising. 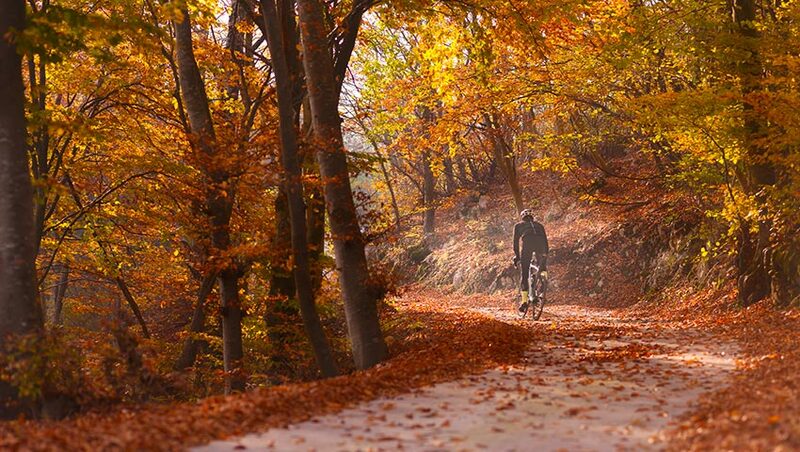 Looking after your beloved bicycle is the best way to reduce the chance of mechanical issues during your autumn rides. Checking and cleaning brakes, gears and moving parts makes for a good routine to be sure everything is in order and ready for your next ride. By spending a few minutes cleaning and lubricating your chain, you will increase the lifespan of cassette, chain rings and of the chain itself; gear shifting will be quieter and smoother too. 9 – Stay dry in wet weather. During the autumn, weather systems are more frequent and we can be caught in showers. If you are far from home, just stop and find shelter. If you avoid getting soaked, the cold you have to endure won’t be too bad: on the contrary, your body will burn a lot of energy trying to maintain a constant body temperature. 10 – Make the most of autumn, shorten your winter break. 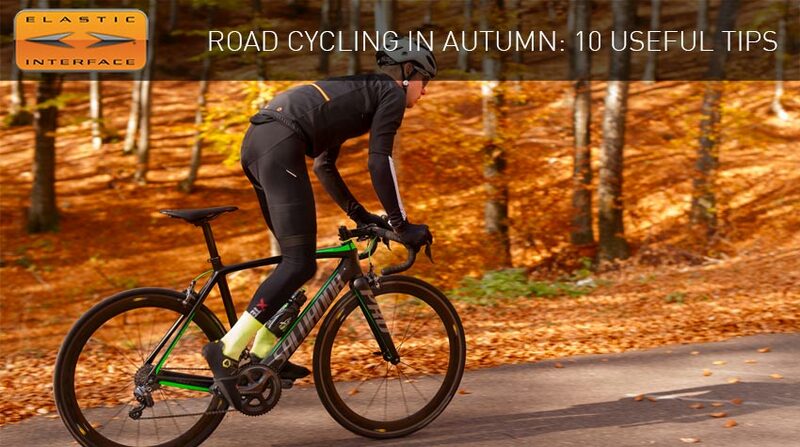 Autumn is a great season for cycling and to tackle fantastic rides in the saddle of your road bike, enjoying mild temperatures and warm hues around. Following the tips we listed, you will still have a lot of fun, enjoying every available weekend, making the most out of this season and shortening the winter, when cold and harsh weather call for a break. Get in the saddle, what are you waiting for?